Jessica’s Interest in fitness began at a young age when she realized how staying active and incorporating a healthy diet into her lifestyle affected her confidence and quality of living. She hopes to inspire others to get outside of their comfort zone and grow to live to their fullest potential. 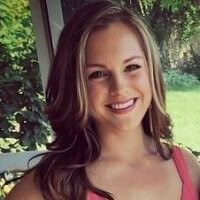 Jessica is AFAA certified and has been teaching group fitness classes since she attended Illinois State University. There, she majored in Marketing and worked part-time as a group fitness instructor. She has experience teaching a variety of formats such as cycle, cardio kickboxing/ Turbo Kick, strength, total body conditioning, core and Pilates. Her favorite classes are ones that challenge you both physically and mentally. Her positive attitude and belief in other’s potential make her classes ones you won’t want to miss. You will leave the hour feeling accomplished, strong and ready to tackle the day.